The Diva and I love making our own Christmas ornaments. Not for us, the mass produced snowmen and reindeer and Santas, although they get a fleeting look-in for the sake of the Season. We love glitter, and fur, and feathers, and sequins and lace and olde worlde charms and the like. This year we've gone with a cameo theme for our little trees. Yes, we have more than one. If you're going to go miniature, you need more of them! Last year, it was pearls and roses and ivy and owls, and you can see that here. 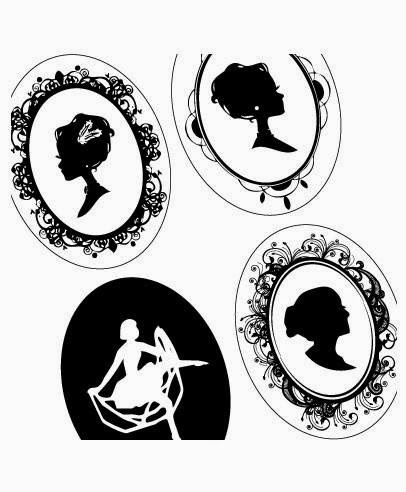 Having worked with cameos for dance costumes earlier in the year, I guess it was inevitable that we'd lean towards silhouetted ladies and lace for Christmas. These ornaments took less than 30 minutes to produce. Vintage sheet music printed from the link below. Cameos printed and cut out. Lace trim, sequin trim, jewellery making charms, bows, roses, glitter, braid or whatever takes your fancy as embellishments. First print out your vintage sheet music here. Cut the sheet in half across the middle, and use each half for one ornament. 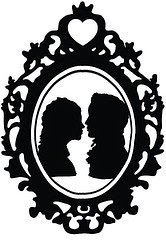 Then find some suitable cameo silhouettes or use the ones we used, below. Print those out and cut carefully around them. Fold each half of your sheet music in half like a book page. 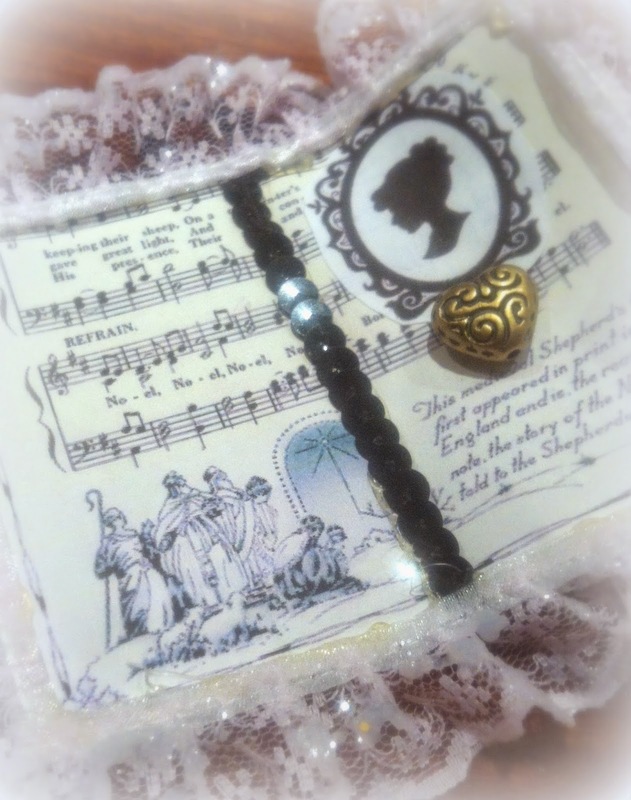 Glue the cameo to one side of the page. Embellish as desired using your trims, charms, glitter and lace. Remember to add a loop to the middle of the top edge to hang your ornament. I just used odd offcuts of toning trims and braid. Allow to dry overnight and hang on your tree. This picture below, is our tree topper. 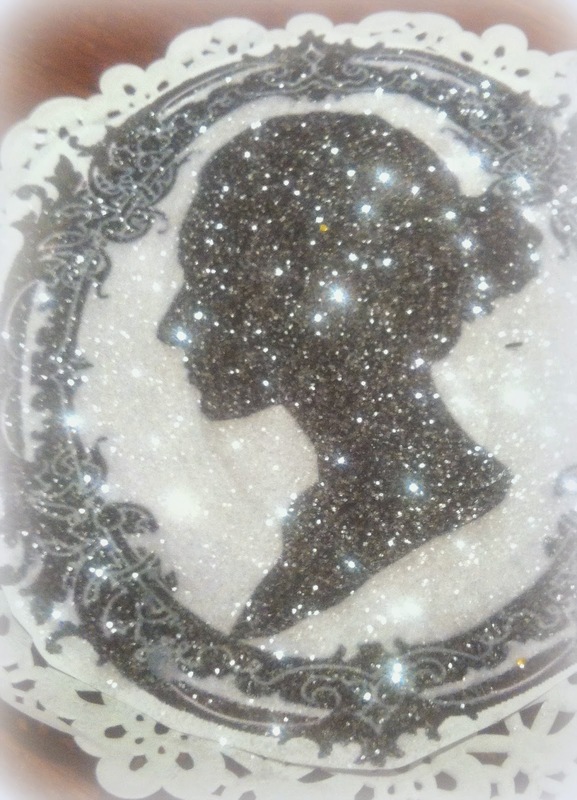 This was made by printing out a larger cameo, and pasting it to a paper lace doily. I then applied a generous layer of paper glue, and sprinkled it liberally with white glitter. I pasted a second doily behind this one, leaving a pocket to slide it on to the top of our tree. I love those cameos. You have been busy. That reminds me of when my children were growing up and we would make Christmas decorations. Making those memories is so important. Thankyou Nanna Chel. I agree that creating memories is one of the most important parts of the Festive Season. Thankyou for your lovely comment. 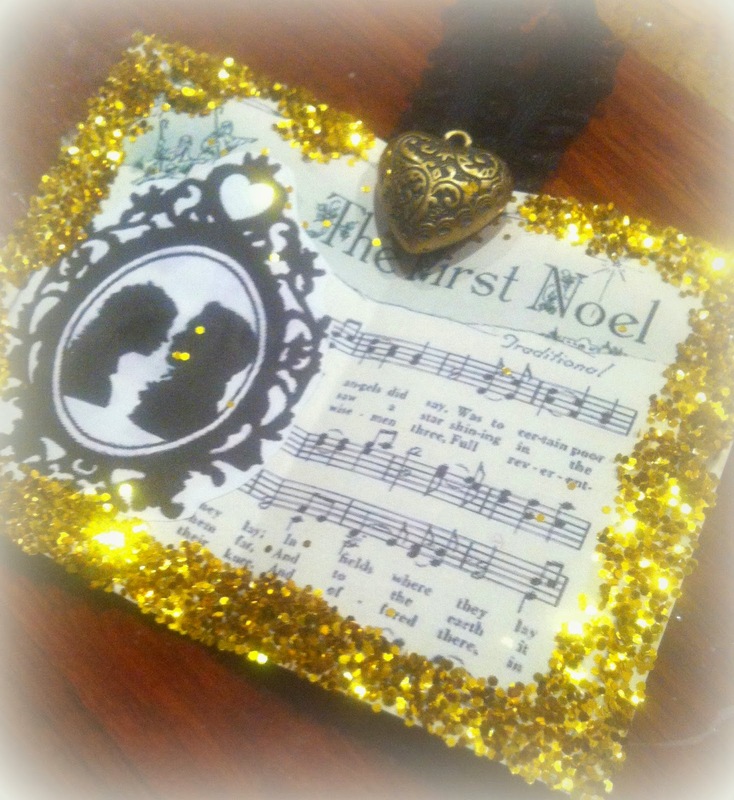 Hi Mimi, I LOVE your handmade ornaments you both made and will look lovely on the tree. Thanks for the tutorial to make them. Enjoy the holiday season. Cheers! Joanne What's On The List? Hi mickeydownunder. Thanks for your comment. I'm actually a real stickler for rules, and share and comment at linkups religiously. Unfortunately it doesn't seem like many others do. But thanks for the reminder anyway. I love cameos and glitter so I love these. And that you spend your time with your daughter doing these things. Wise woman. You have a GLITTER box. Oh my. I must do one of those. What an awesome idea! Very cute!! Thank you for joining Home Sweet Home!